EnviroGreen is a New York City-based company established for the purpose of commercial kitchen grease removal, cooking oil disposal, cooking oil recycling, fryer oil disposal, grease recycling and restaurant grease trap cleaning. We are a fully licensed company, so you can count on us when it comes to any of our oil removal services. Cooking oil disposal and grease trap cleaning are essential for your restaurant or commercial kitchen. It is necessary for the environment and to comply with the law in New York City. It is important to follow the correct protocol when it comes to grease recycling and reusing waste cooking oil. Beyond eliminating environmental effects of waste oil disposal, clean recycled cooking oil can aid in delivering a superior product to your customers. Waste cooking oil goes from a liability to an asset when converted inexpensively to alternative fuels (such as Bio-diesel), one of the products produced from waste oil we acquire from your business. Not all the grease and waste oil we collect is suitable for fuel production. 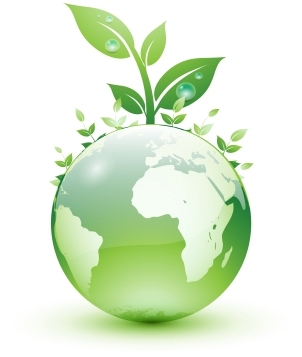 What's not is disposed of in an environmentally friendly and cost-efficient way by EnviroGreen. We are dedicated to keeping your commercial kitchen grease-free and to maintaining your grease traps by keeping them particulate-free and flowing correctly. EnviroGreen Inc. has an exceptional reputation throughout the five boroughs of New York City, as well as Suffolk and Nassau County. We bring exceptional service to all customers of our waste oil and cooking oil recycling services. We bring the same dedication to our grease trap cleaning services and other kitchen-cleaning solutions. We are fully licensed by both the Business Integrity Commission of New York, and the Department of Environmental Protection. Let us add you to our long list of satisfied waste oil, grease removal and grease trap cleaning customers. Together we'll help the environment and help you comply with the law. Please contact us today to learn more about all of our grease trap and oil services. We will gladly answer any questions or concerns you may have about this particular area. The law now requires that you dispose of all your cooking oil and grease trap waste responsibly or face a fine of up to $10,000. EnviroGreen Inc. is fully licensed and insured to make sure your business is in full compliance with all Department of Environmental Protection regulations regarding cooking oil and grease trap waste. All compliance stickers and necessary paperwork will be issued at completion of service. EnviroGreen Services Inc. will collect grease trap waste and used cooking oil at your convenience. we can have someone on the way at the drop of a hat!